On Monday 29th May, the entire form 3 student body ventured up to Matura for an overnight adventure in turtle watching and beach cleaning. There were two main objectives for the overnight trip. It was a Biology field trip and a class bonding exercise. The Biology trip component focused on the conservation and preservation of the Matura beach which is a significant nesting location for leatherback turtles. Trinidad is unofficially the number one nesting location for these leatherback turtles. We partnered with Nature Seekers, the organization that patrols the beach and organizes tours for visitors. They also organize beach cleanups, not just at the start of the turtle watching season, but throughout the season. In addition, they tag the turtles and work with various NGOs to track and protect the turtles which are known to travel as far as Madagascar! Their work had the students very intrigued. The students, teachers and supervising adults arrived at Matura at 8:30 pm and headed to the beach to witness the laying of eggs by one of eight (8) turtles that was estimated to be on the beach that night. The process normally takes approximately one hour for the eggs to be laid and buried before the turtle returns to the ocean. Some of the students were able to see two (2) turtles that night as there was another one close by which was much larger than the first one. The students learned about the turtle’s diet, the frequency with which each turtle can visit that beach to lay eggs in one season, the strategy of the turtles to conceal their nest site and the care they take in securing their eggs. It was a very informative and practical experience for the students. On Tuesday morning the group returned to the beach for a brief talk from the tour guide. 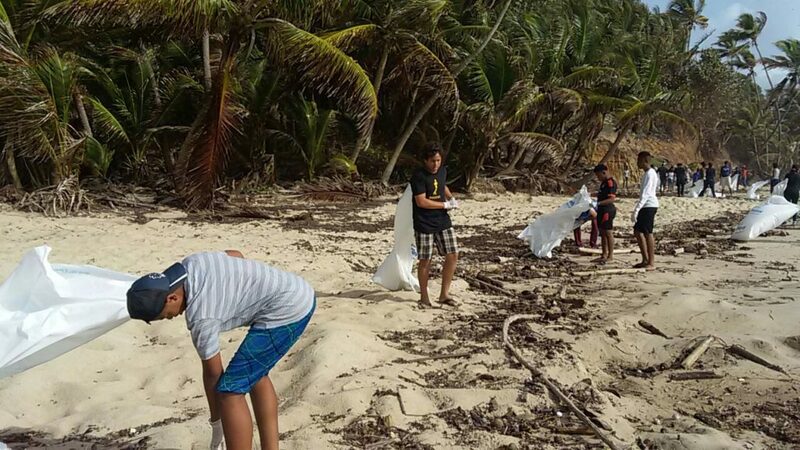 Groups of students, equipped with garbage bags and gloves, were assigned to different areas along the beach. 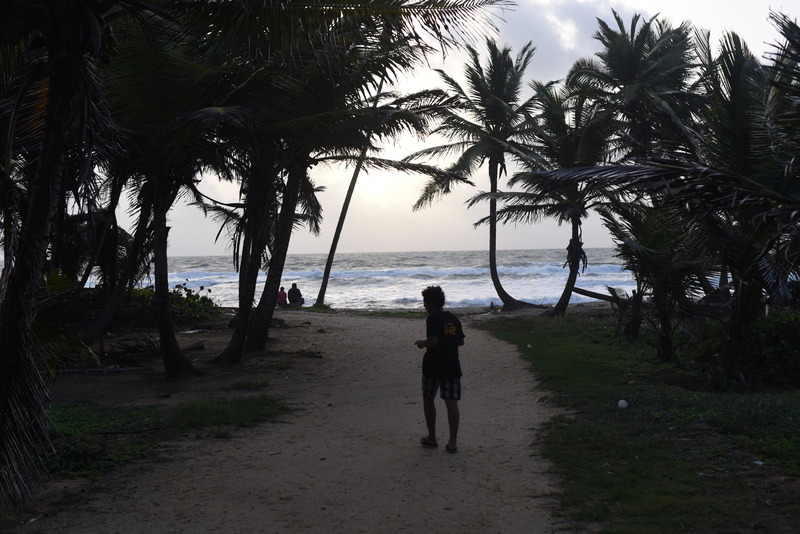 Everyone diligently walked along the beach and collected the garbage that amounted to more than 40 bags of refuse! The students had an enjoyable practical learning experience that highlighted the importance of cleaning the beach in order to make the turtles’ nesting area more welcoming and heightened the value of keeping our environment clean.